And I guess that might have something to do with the fact that they don't review books by women very much. 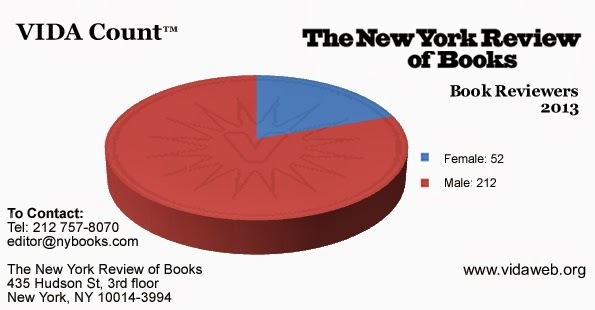 Really depressing, especially because I like The New York Review of Books. If we look at how many men versus how many women posted on The Great God Pan Is Dead, it looks pretty great! But not so fast. 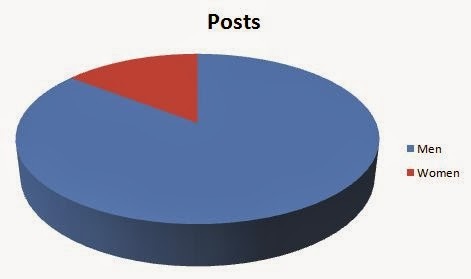 If we look at it in terms of "posts by women" vs. "post by men," it looks terrible. To be honest, I would rather it not be a solo album with occasional guest vocalists. 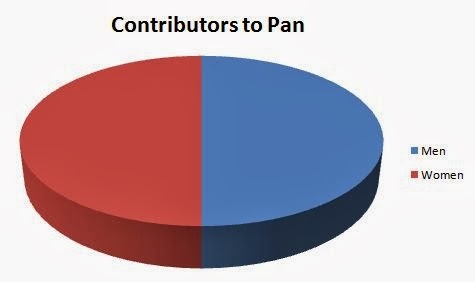 I'd like more of you writing for Pan. We pay nothing (which can only be justified by the fact that we make nothing). But we offer the opportunity for you to get your writing up on line quick. We want criticism and journalism, as long as it deals with art in Houston and vicinity. I know there are a bunch of you studying art history at St. Thomas, Rice and the University of Houston. Wouldn't you like to write something that is read by more than just your professor? I invite you to get in touch with me. All you would be writers, email me at robertwboyd2020@yahoo.com. Pan wants you!